Summer weddings always make for a beautiful day, as Sophie and George proved when they planned their big day – complete with Hawthorn Jaguar wedding car hire. With the sun shining on them, they celebrated their love with a stunning classic theme. Their Hawthorn Jaguar wedding car hire was a fitting tribute to the glamour of yesteryear. Sophie and George are the perfect example of simple elegance. Sophie’s flowing gown was every bit the Wow factor that all brides look for, and George made a very dashing groom, complementing her look. 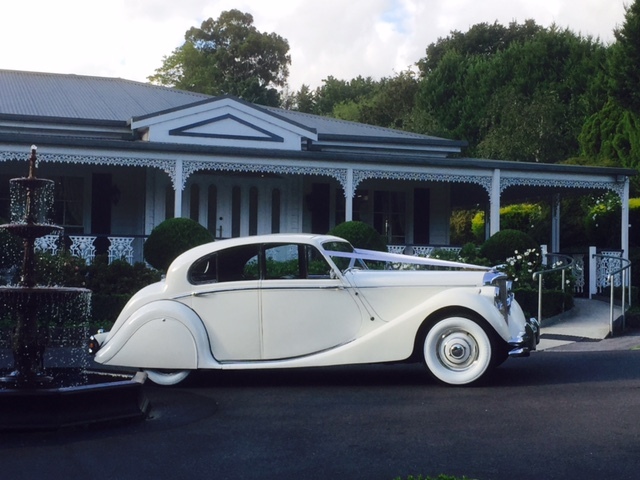 With the classic Hawthorn Jaguar wedding car hire making a wonderful backdrop, every detail was covered. This exceptional day started with a traditional ceremony at the Greek Orthodox Church in Balwyn North. This was a nod to the culturally rich, spiritual aspect that was so important to the happy couple. After committing their lives to each other, they were transported to their reception at Leonda by the Yarra in Hawthorn, where the celebrations continued. Sophie and George fit right into the soft, romantic surroundings of Leonda by the Yarra. The lush greenery, the flowing water, exceptional venue and service made the joyful reception so much sweeter. 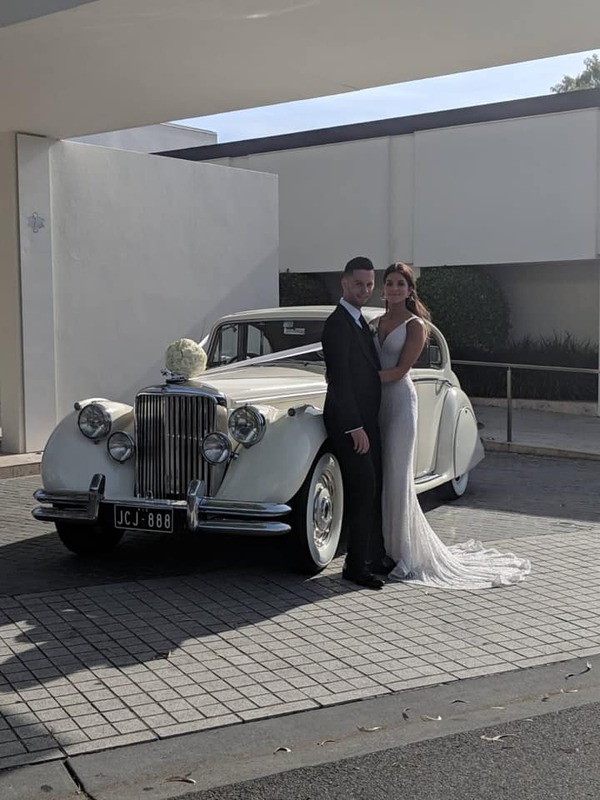 A classic vehicle pulling up to such a great venue always makes a statement, and when the theme of a wedding calls for a glamorous, nostalgic wedding car, you really can’t go past a Jaguar. Sleek lines, luxurious interior, and an elegant look that complements rather than competes – you can guarantee an unforgettable entrance. Whether you choose the Jaguar MK-V, the Jaguar MK-VII or the Jaguar Sovereign, you’re sure to be thrilled with the exceptional car hire and service that JC Jags has to offer. Our vehicles come with all the comforts of a modern car, in a beautiful exterior. For more information, or to book your Jaguar wedding car hire, contact JC Jags today.